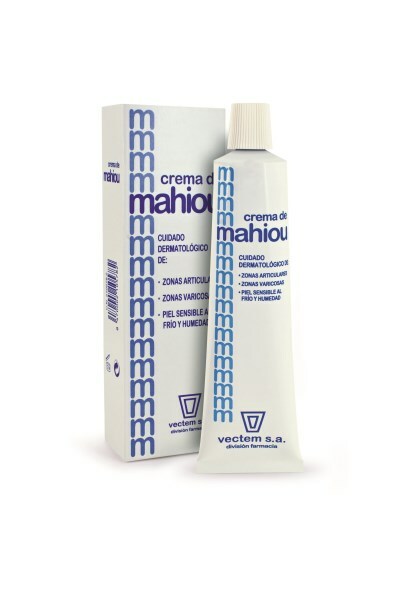 MAHIOU CREAM , vectem s.a. Particularly indicated for the treatment of perniosis (CHILBLAINS) on any area of the body. Mahiou Cream contains vitamin F (omega 3 and omega 6 fatty acids) and a base very rich in lanolin and glycerine. These components promote cutaneous microcirculation, contribute to decongesting tissue and strongly increase skin hydration, suppleness and elasticity. Protects from chafing, cold and excess moisture.